Choosing the right Montessori environment for the person you are caring for or supporting is important. Each aged care community is either privately owned or run by a non-profit organisation, and is run independently from the Montessori Ageing Support Services. “Montessori” is not trademarked so it is possible for any care community to include the word “Montessori” in their name. Most “Montessori” care communities aim to offer a quality Montessori environments. 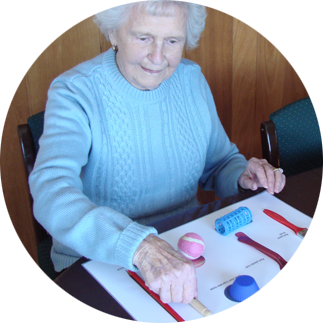 Montessori Ageing Support Services has developed a national quality assurance programme (MASSQAP) to identify the Quality Standards for Montessori environments for aged and dementia care and to support care communities in maintaining these standards. You can be assured that a care community that is part of this programme is committed to providing authentic Montessori environments for residents. The MASSQAP is a supportive and positive means of continuous improvement by which care communities strive to ensure quality and best practice. The programme has three levels. Click here to find further information about the Montessori Ageing Support Services Quality Assurance Programme. Click here for a list of quality Montessori care communities that are Montessori Registered™.